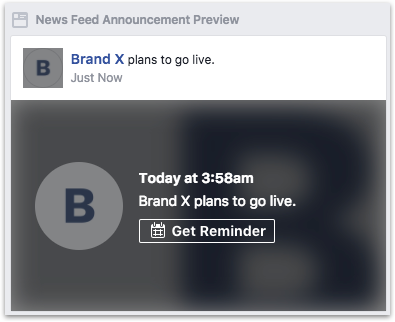 Exactly 15 minutes before the live stream starts, Facebook will announce your planned live stream and it will appear in user&apos;s news feed. The following picture shows an example of how new stream announcement looks in your viewer&apos;s Facebook news feed. Second notification will be sent by Facebook 3 minutes before your stream starts to all those Facebook users who have clicked Get Reminder button shown in the first announcement. A third notification will be sent to all your Facebook Page or Group followers when the stream begins. Facebook will send a notification to the Page or Group&apos;s followers as soon as the video live stream starts. Due to recent changes made by Facebook, followers of a page may or may not receive notifications about a live stream on that page. 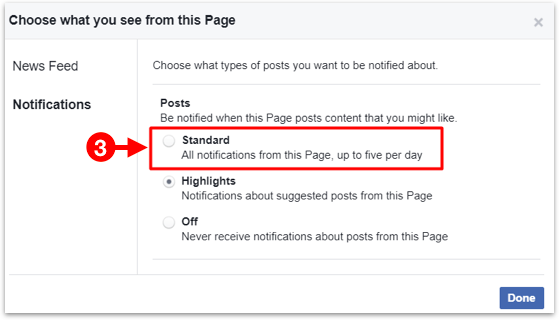 By default a Facebook users is only shown notifications for a few selected posts on that page. This is determined by Facebook&apos;s own algorithms. 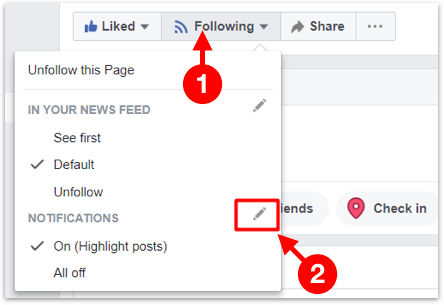 Your Page followers must edit their page notifications settings and make sure the notifications are set to Standard. Otherwise, at times, they may not receive notifications when you go live.